In 1972, WABC-TV in New York sent rookie reporter Geraldo Rivera to Staten Island to infiltrate the Willowbrook State School. Robert Kennedy had visited the mental institution in 1966 and declared: "Willowbrook State School was not fit for even animals to live in." Geraldo gained entry using a stolen key and documented the brutal and horrific living conditions of its disabled residents, which included several mentally retarded children. 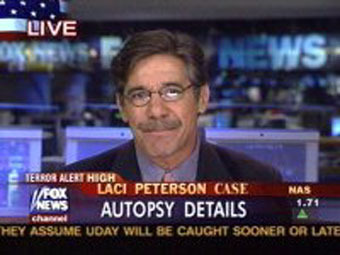 The report led to an immediate government inquiry and won Geraldo the Peabody Award. Nose broken by a thrown chair in November 1988.